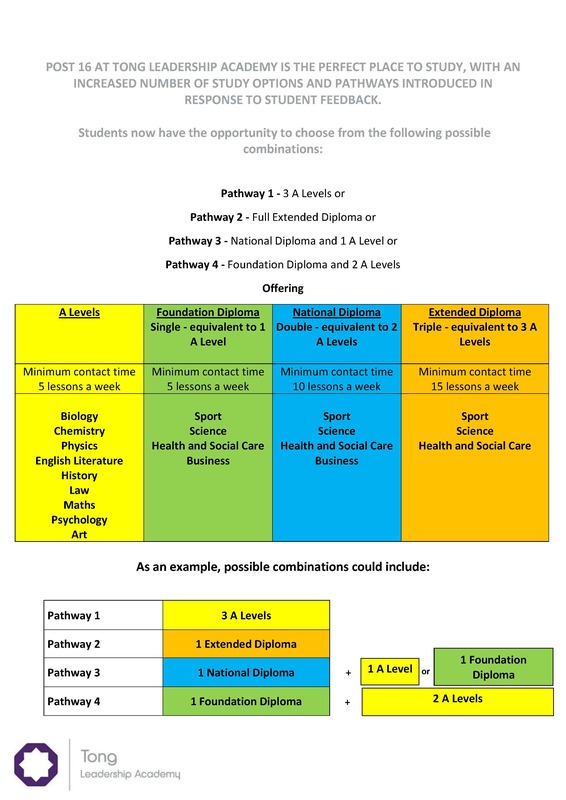 For more information about our Post 16 department and for details of the admission arrangements, please visit the Admissions section of our website. We offer both A Level and Diploma courses, with several study options and pathways to suit. Our full list of courses can be found below. Our Open Evening for Post 16 admissions took place on Thursday 15th November 2018. If you missed the Open Evening, but are still interested in joining the academy, please contact our reception on 01274 681455 and arrange a suitable time to come and visit.